At Fait Accompli Excavations, we make customer satisfaction our number one priority! 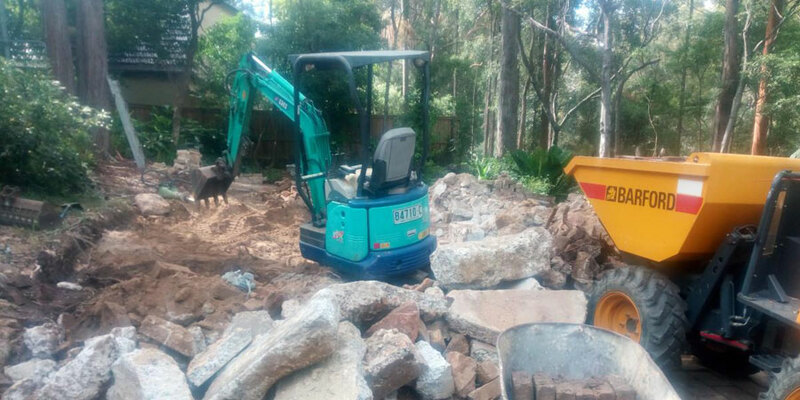 We’ve been in the excavation and landscaping business since 1990 and over the last 24 years have prospered and extended our services enabling us to provide our valued clientele with a complete range of excavation and landscaping services. We recognise that the most important component of any business is customer service and because of our dedication to provide our customers with complete satisfaction, our business has grown and expanded to service in line with the more extensive needs of our customers. We understand how difficult it can be to get all the various contractors you need for most excavation and landscaping projects to attend and get the job done on time, which is why we’re committed to providing a complete one stop service to cover every aspect of the excavation and landscaping trades, saving you time, money and hassle. Whether you’re building a new home or extending an existing dwelling, levelling or concreting or rectifying drainage issues, we can advise you on the best solutions to ensure proper installation and operation of all drainage, water storage and sewage management systems as well as completing the job with levelling, concreting and landscaping. Call now on 0417 285 112 or contact us via our enquiry form today! Our contractors are fully licensed and extremely knowledgeable experts in their field, who can discuss your plans and oversee the work, giving you the assurance of a professional result with a high standard of workmanship on every job. 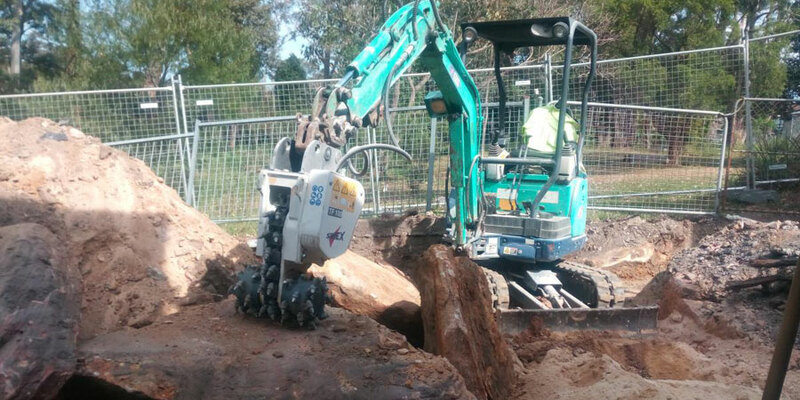 We’re available to discuss your excavation needs, 7 days a week and we service a wide range of commercial, domestic and industrial requirements, for any excavation or landscaping purpose, throughout Western Sydney. We take pride in our work and because we have over 20 years experience in the industry, you can be assured of an expert result at the most affordable and competitive rates in the area. 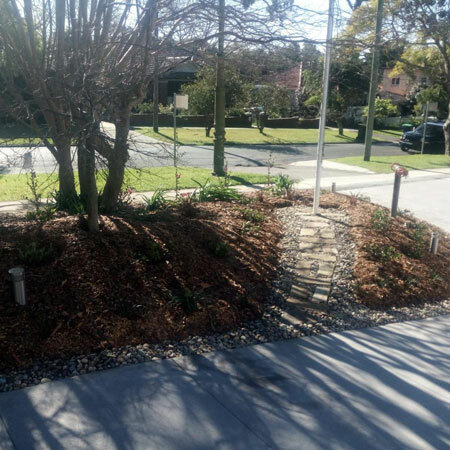 All our staff are highly experienced, qualified and licensed operators, so you can relax in the knowledge that your excavating, landscaping and drainage jobs are done professionally and expertly. Whatever your earthwork or landscaping project, we have the expertise, resources and experience to get it done promptly and efficiently and guarantee results that will not only work effectively but provide a final look that meets your complete satisfaction. 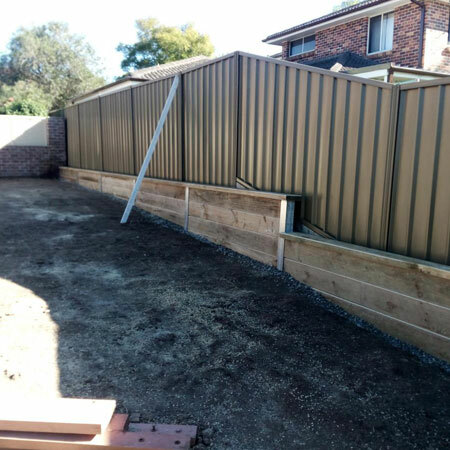 As our name says, if you get us on the job, you’ll find that it’s an accomplished fact that you’ll get the best excavating and landscaping job at the best price in Western Sydney.